Formulated without parabens, our sulfate-free shampoo helps to effectively protect color-treated hair by gently cleansing hair without stripping its color. Infused with nutrient-enriched conditioning oils of Sunflower - known to contain powerful levels of Vitamin E and essential fatty acids - and a fortifying blend of Vitamin B3, B5, and B6, our color-preserving shampoo conditions and moisturizes dry hair for long-lasting color in between salon visits. Explore the entire range of Shampoo available on Nykaa. 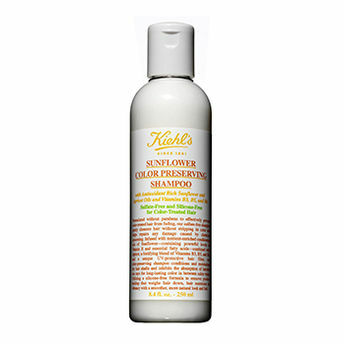 Shop more Kiehl's products here.You can browse through the complete world of Kiehl's Shampoo .